TURIN -- Fiat Chrysler Automobiles will be profitable in Europe a year earlier than expected, CEO Sergio Marchionne said Wednesday. Previously, Marchionne said the automaker's regional operations in Europe, Middle East and Africa (EMEA) would break even this year and turn a profit in 2016. 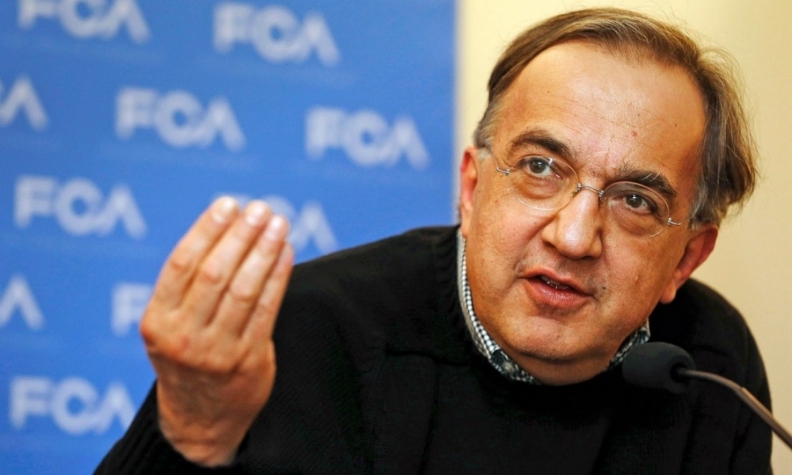 “EMEA had a positive EBIT in the fourth quarter and we will see black numbers for all regions going forward,” Marchionne said during a conference call on FCA's 2014 financial results. FCA said the European region had earnings before interest and taxes of 32 million euros in the fourth quarter, compared with a 214 million euro operating loss during the same period last year. The strong finish to 2014 helped FCA reduce the region's full-year operating loss by 80 percent to 109 million euros. The automaker's 2013 operating loss in Europe was 505 million euros. FCA said the rebound in Europe was being driven by strong demand for the Fiat 500 family of vehicles, new Jeep models and Fiat's light commercial vehicles. FCA reported that sales in the EMEA region grew by 5 percent to 1,024,000 units and net revenue rose 4 percent to 18 billion euros. Fiat Chrysler's $4.1 billion operating profit in 2014 fueled by N.A.